Georgy and Cynthia and the Mitchell Foundation donated $22 million to establish and support continued research at the George and Cynthia Mitchell Basic Sciences Research Building at The University of Texas MD Anderson Cancer Center. The building serves as the home for the University of Texas’s Graduate School of Biomedical Sciences at Houston, which offers students the opportunity to prepare for careers in research and education in the biomedical sciences. 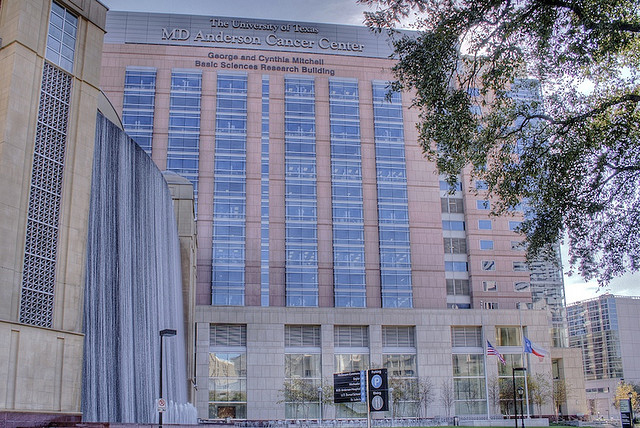 The 17-story, 485,700 square foot state-of-the-art structure was constructed to accommodate MD Anderson's growing research needs, including almost 70 laboratories for molecular genetics, epidemiology, biochemistry and molecular biology, and brain cancer research, as well as veterinary medicine and tissue bank facilities.